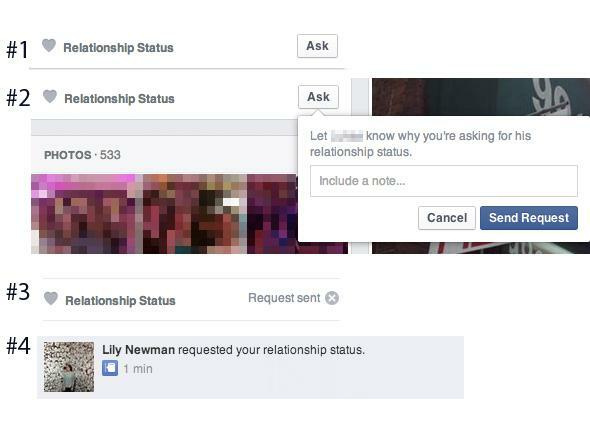 Facebook Ask button lets you ask people about their relationship statuses. Any Facebook stalker worth her salt can make an educated guess about whether someone is single, actively dating, in a relationship etc., just by perusing his or her Facebook. But the clues don’t come from the “Relationship Status” itself. They come from things like photos of the person posted by others, the person’s profile pictures, and her wall activity. But now Facebook wants to give stalkers the option of being direct, so the company has a new “Ask” button that lets users scope each other out. 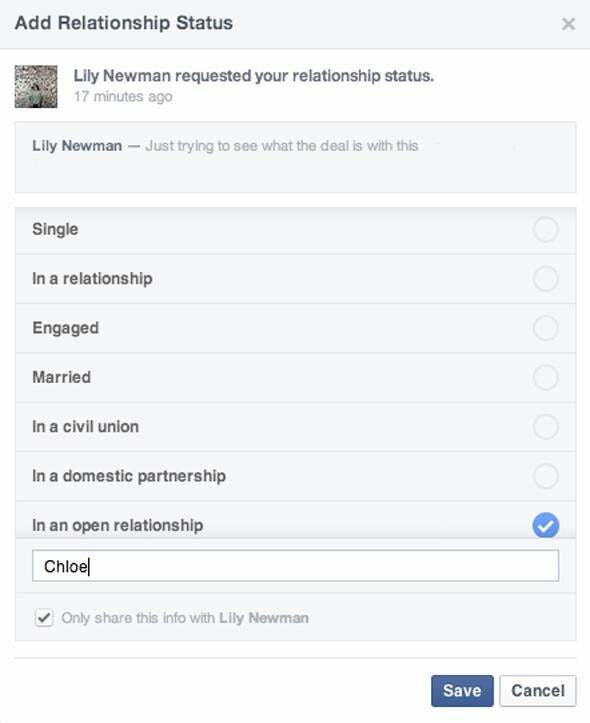 The Ask button shows up when you navigate to a profile and the person doesn’t have a relationship status or her privacy settings restrict who can view her relationship status. The Ask button seems like it’s still being tested, according to Gizmodo, but it’s pretty widely available … it’s probably popping up for you now! Ahem, let’s talk about this for a minute. This is not how stalking works. In fact, this Ask button is antithetical to the whole notion of covert social media ops. Sure, it’s more direct, and it could take the games out of wondering about someone, but there’s nothing direct about Facebook profiles. They’re the place where we present controlled and tailored versions of ourselves to the world. Come on, people, this isn’t the truth zone or something. But maybe it should be! Maybe that’s what Facebook is getting at here: more authentic social interactions through direct channels for communication. Or is the company just trying to get its users to do its dirty work? By enabling users to prompt one another to add more data to their profiles, Facebook is surreptitiously collecting even more of your personal data that will be valuable to advertisers. After all, the Ask button is also available for less socially loaded fields like “Home Town.” We see through you, Facebook. Trying to use peer pressure to get us to engage more. Ha. You’ve failed to realize one crucial thing: Asking someone about their relationship status with no context or warning is incredibly creepy and embarrassing for both parties! Nice try, though. What the other person sees.